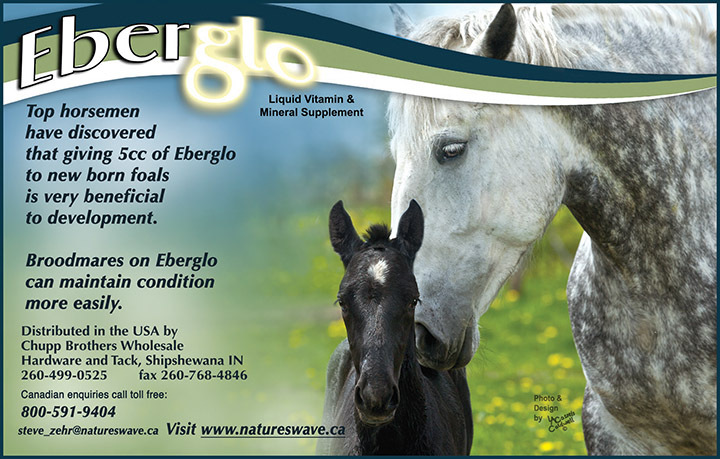 We know you love Eberglo for how it helps your horses maintain their peak health. You can promote your horses, help spread the word, and earn a 10% rebate with the new 10 for 10 Program! Its our thank you to you! Its easy, give us your testimony, just create 10 Facebook posts over 6 months on the Natures Wave Inc. page, or by mail, and after the 10th post, submit your paid Eberglo invoice dated after your program completion, to get your 10% rebate (cashback) cheque from Natures Wave! On Facebook, or by mail, open to Canada and U.S.A. Customer must have reached the age of majority in the jurisdiction where the qualifying purchase is made. 4. Participants must post 10 separate posts over 6 months, no more than 3 posts per month. Each post must be posted on Natures Wave Inc. Facebook page to be recorded. Posts will be subject to approval. See below for mail in instructions. 5. Participants agree to give Natures Wave Inc. full consent to use their content for advertising purposes in printed material and/or social media. 6. Posts must include a short description and/or testimonial. Photos & videos are encouraged. Special equipment is not required, a smart phone makes it easy! 7. No more than one Facebook account per customer. Natures Wave Inc. will share the posts to relevant groups, to promote your horses. Participant will also be featured on the Natures Wave web site. www.natureswave.ca, on completion. 8. Once 10 different posts have been recorded, the participant can email or mail a copy of their original PAID Eberglo purchase invoice/receipt, dated after your program completion, and will receive a 10% rebate (cashback) cheque from Natures Wave Inc. No submitting the same invoice twice. Handwritten facsimiles/reproductions will not be accepted. 9. This offer is void where prohibited and may not be combined with other promotional offers. Limit one (1) rebate per customer. 10. The more you purchase, the more you earn! Program ends December 31, 2019. By Mail: Mail your 10 photos and testimonials to us, and we will post them on Facebook for you, over a 6 month period. Then you can submit your paid Eberglo invoice copy dated after your program completion, to get your 10% rebate. Don’t forget to include your name, address & phone number! Testimony ideas: Vitamins & minerals are necessary for the digestive system, which contributes to a healthier horse, which can reduce common digestive problems in foals & all ages, creates more energy for shows & work, has a better reproductive cycle, has more stamina, maintains weight & body condition, handles stress better under high performance pressure, has better hoof quality, enhances hair coat bloom, builds increased immunity, allows for maximum expression of genetic potential. We encourage your creativity! Tell your story! Here is our Eberglo area at Gordyville 2018, feel free to drop by and say "hi"! 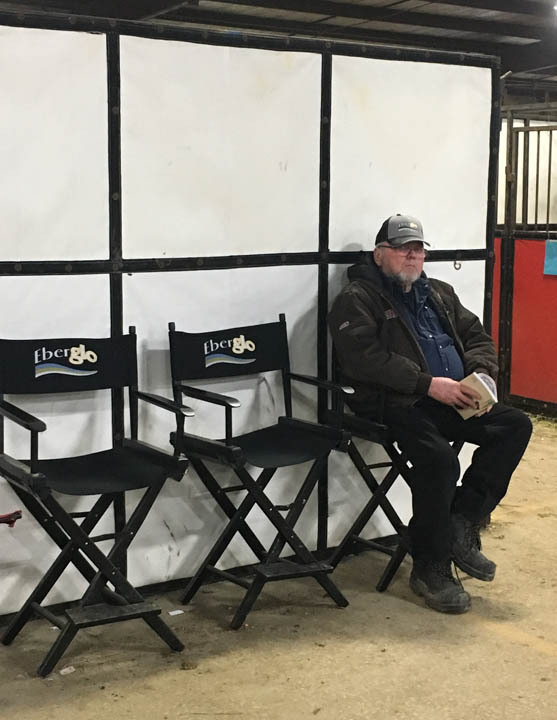 The Eberglo chairs have been getting a good work out at Gordyville! Be sure to come visit our Eberglo area at Gordyville 2018. Here are Ken Knox and Steve Zehr making new friends and showing the popular new Eberglo Boviglo mugs! Thanks to everyone who participated in the Eberglo Rook playing cards project! Check them out at Gordyville! We love to promote you and your horses!